The CEO of AT&T Mobility makes $10 million dollars per year. 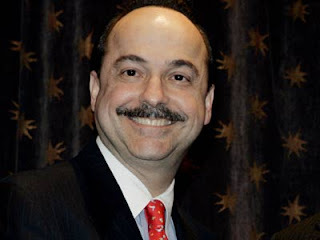 See the latest numbers of Ralph de la Vega Compensation for 2010 from Forbes. Ralph took a modest salary of $820,833 and other stock bonuses that grossed him exactly $10,894,670 in 2010. How does this compare to his superior Randall Stephenson's executive compensation who took home $27 million in 2010. Sounds like a wonderful ponzi scheme to me or house of cards that is waiting to come crashing down having also paid out $10 billion dollars of dividends to shareholders. See the details of Ralph de la Vegas compensation in 2010.